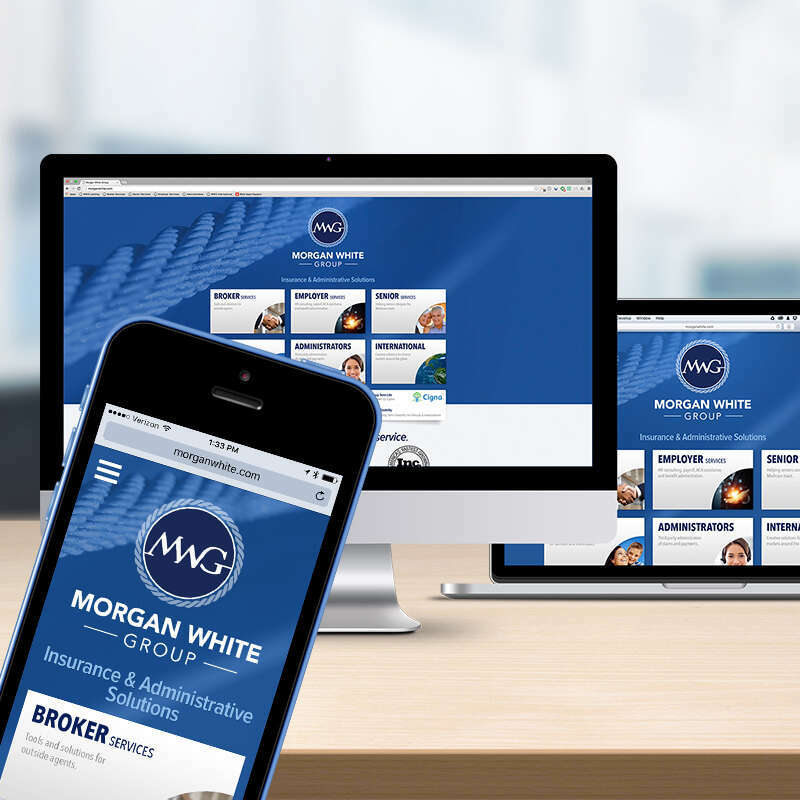 Morgan White Group is not just one entity. It's a group of companies and divisions, each with their own distinct products and target markets. Likewise their website is not just one site, it's a group of more than half a dozen distinct sites. During their 2015 branding overhaul, our goal was to bring consistency to their image while maintaining (and clarifying) the dist­inctions between the divisions. The end result is a parent site that serves as sort-of a dashboard to help customers quickly find the section they are looking for. Each of the free-standing child sites have their own domain and content, but they share a consistent layout and set of styles.